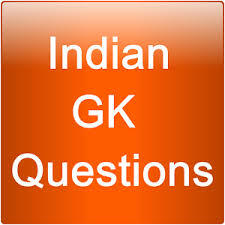 General Knowledge questions on Indian GK for Bank PO, IBPS, Bank Clerical And Date wise 04-02-2018 questions for bank exams, very important computer-related questions for Bank PO, SBI PO, IBPS,RAS, IAS, UPSC, RPSC, 1st, 2nd, 3rd Grade Teacher, REET CTET, LDC, SSC CGL, IBPS, MBA, CAT, MAT, SBI-PO, RBI And Railway, Indian Army And all competitive Exams, and Most expected Computer Question Papers with answers. These Questions are most commonly asked in Other Banking Exam, And All subject Wise Notes and Math, Hindi, English, History, Political Science, Psychology, Sanskrit Related Study material. Question. (1) Rainfall of which monsoon is on the west coast of India? Question. (2) Where is the headquarters of the Indian Forest Survey Department located? भारतीय वन सर्वेक्षण विभाग का मुख्यालय कहाँ स्थित है ? Question. (3) Who is the originator of the tree plantation festival known as ‘Van Mahotsav’ in India? भारत में वृक्षारोपण उत्सव जिसे ‘वन महोत्सव’ के नाम से जाना जाता है, के जन्मदाता कौन हैं ? Question. (4) What percentage of the world’s total forest area is in India? विश्व के कुल वन क्षेत्रफल का कितना प्रतिशत हिस्सा भारत में है ? Question. (5) When was the Indian Forest Survey Department established? भारतीय वन सर्वेक्षण विभाग की स्थापना कब की गई थी ? भारत में चन्दन की लकड़ी के लिए प्रसिद्ध राज्य है ? Question. (7) What is the main vegetation of India? भारत के प्रमुख वनस्पति कौन-सी है ? Question. (8) Where is the Dudhwa National Park located in India? भारत में दुधवा राष्ट्रीय उद्यान कहाँ स्थित है ? Question. (9) Where in India is Kanha National Park located? भारत में कान्हा राष्ट्रीय उद्यान कहाँ स्थित है ? Question. (10) Where in India is the Jim Corbett National Park located? भारत में जिम कार्बेट राष्ट्रीय उद्यान कहाँ स्थित है ?